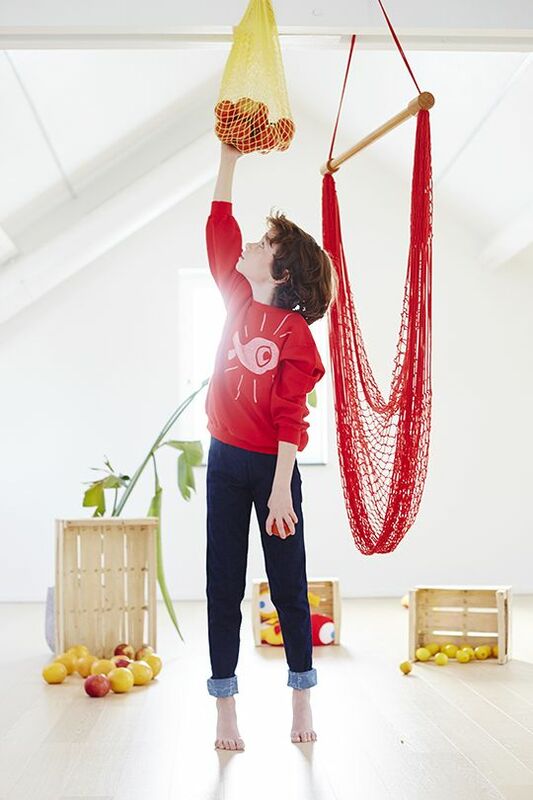 bonjour maurice is a Belgian brand and online shop offering an adorable range of colourful organic clothing for 0-10s. Shapes are simple, patterns gorgeous and there is an extra special touch here -- all items are fully reversible!! Just think, you get two items for your money whether you opt for trousers, a dress, overalls, a sweatshirt, bloomers, shorts, t-shirts, a jacket!! You can even turn the items inside out if your little one gets into a bit of a mess on the road. So clever!! Many of the items have a patterned side and solid colour side, ideal for mix and matching! 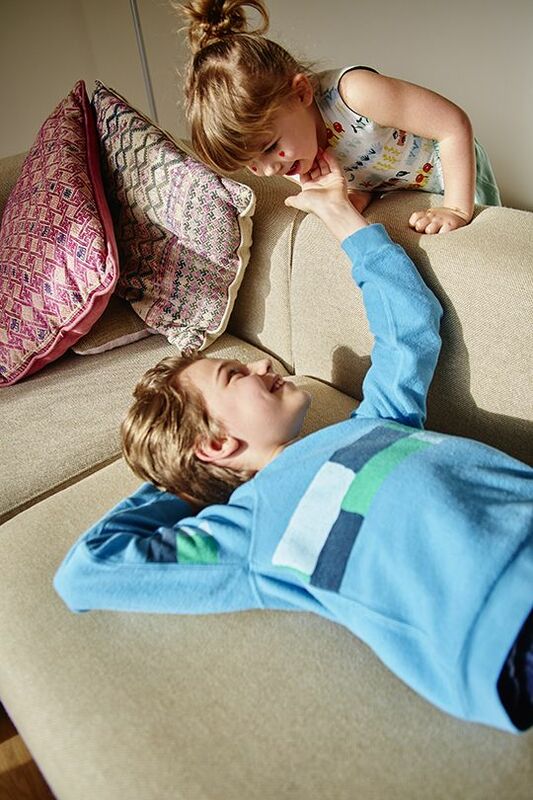 And whilst the reversible nature of the garments is good for parents struggling to choose between colourways and for cupboard space, for little ones there is also a big benefit to be had – they get to choose! (and they can never pop their jumper back on inside out!!) Indeed bonjour maurice are firm believers in the value of being able to choose, grow and be happy and reflect this in their creations. 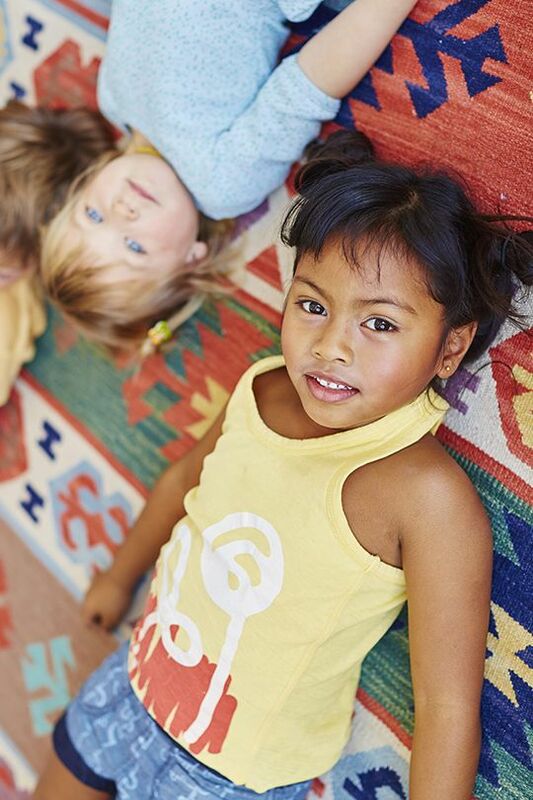 Offering sustainable fashion is of the utmost importance to bonjour maurice, the creation of two mamas committed to the planet and their kids’ future. They work exclusively with GOTS certified organic raw materials and all production takes place in a facility in Portugal which has been GOTS certified for fair environmental and working conditions. 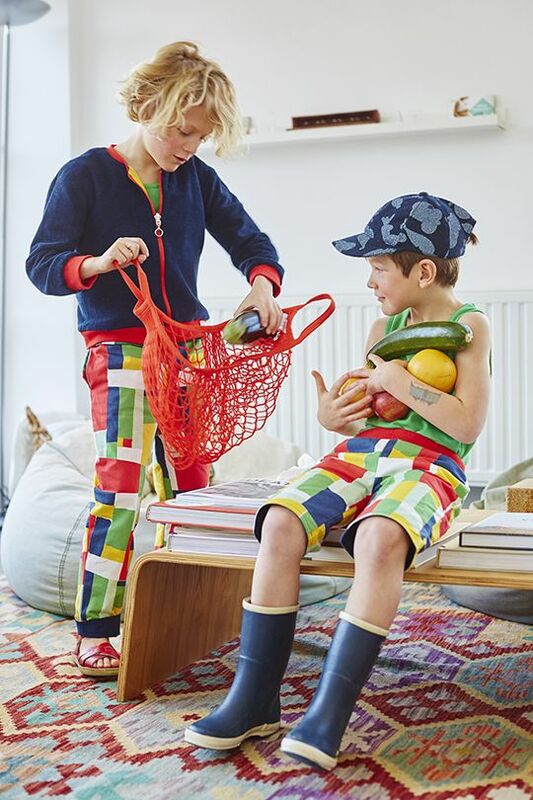 Reversible clothing from Bonjour Maurice, practical and cute!